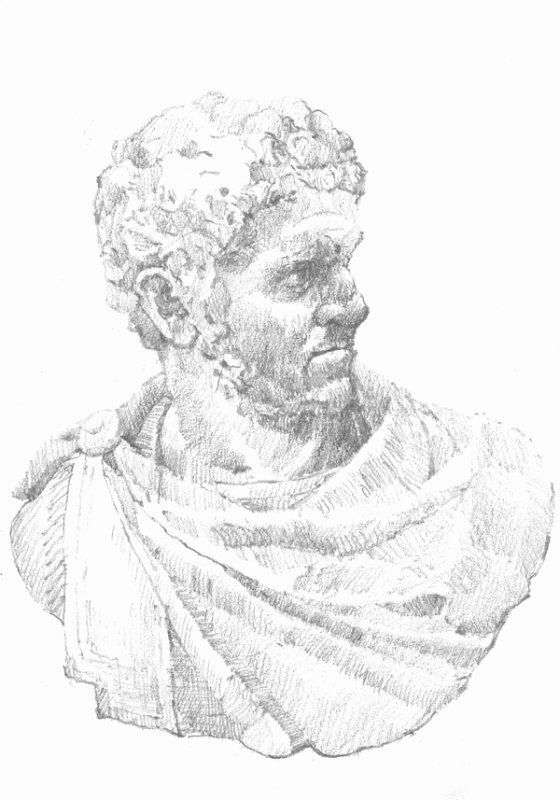 Another sketch from the white Marble Caracalla bust at Naples Archaeology Museum. Roman sculptural portraiture amazes me with its unusual realism and focus on accurately describing the subject warts and all despite the fact that these objects were created for propaganda purposes. Romans believed that character was physically etched onto your features so the more craggy your face the deeper and more virtuous your qualities. The purpose of Roman portraits is the clear and rigorous transfer of these unique features of the model into the work and so I think that the sculptor was very successful in conveying the savage sneer of this tyrannical, brutal Emperor of Rome.